In this section, you'll learn how to configure the plan access permissions. 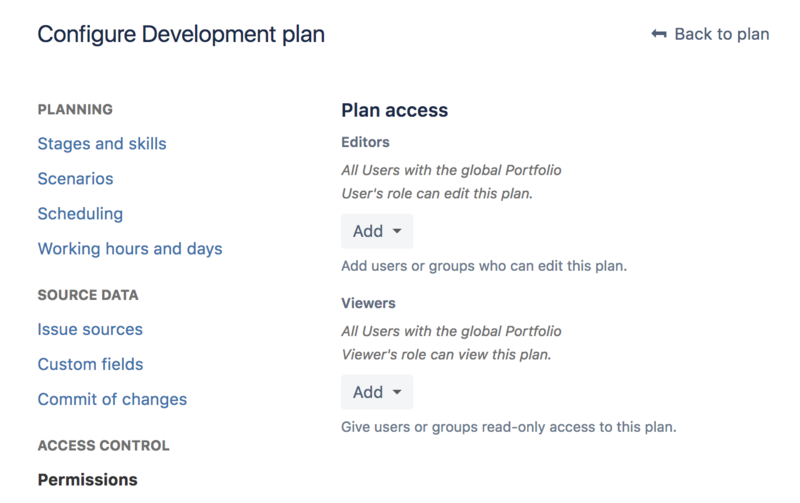 Users must exist first in either the Portfolio User group or the Portfolio Viewer group before you can see them in this section. Learn more about permissions here. In your plan, click located next to the plan name > Configure > Permissions. Now you can see the editors and viewers permissions. 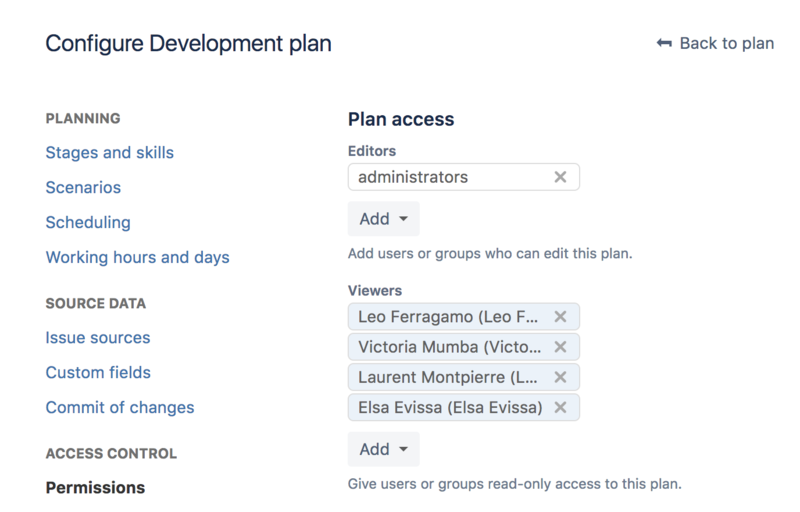 To grant editors permission to a new group of users, click Add, and select the user group from the drop-down. To grant read-only permission to users, click Add, and select the names from the drop-down.